No serious believer will deny that in our time sexual perversions are propagated and modesty and chastity ridiculed. Today’s political correctness is siding with those who attack traditional family life, religion, and the divine laws of nature and revelation. This counter-culture of perversion has invaded traditional Christianity on a massive scale since the end of the Second World War. It started with the mistaken emancipation of women and feminism and is now involved in the diabolical attempts to destroy all traditinal morality by the LBGTQ and Gender Ideology movements. We decided to republish this Notification for our readers. It highlights aspects of sexual morality which are often overlooked by believers of evangelical upbringing, but which are quite familiar to traditional Catholics and religious Jews. Messianics will discover that Siri’s analysis provides a general clarifying background to many Torah injunctions and prohibitions on the domain of the social interacting of the sexes as well as on traditional Jewish fence laws. I expect that Siri’s letter, given here below, will surprise many readers for its actuality, relevance and depth of vision. To Educators intending truly to follow Christian Doctrine. The first signs of our late arriving spring indicate that there is this year a certain increase in the use of men’s dress by girls and women, even family mothers. Up until 1959, in Genoa, such dress usually meant the person was a tourist, but now it seems to be a significant number of girls and women from Genoa itself who are choosing at least on pleasure trips to wear men’s dress (men’s trousers). The extension of this behavior obliges us to take serious thought, and we ask those to whom this Notification is addressed to kindly lend to the problem all the attention it deserves from anyone aware of being in any way responsible before God. We seek above all to give a balanced moral judgment upon the wearing of men’s dress by women. In fact Our thoughts can only bear upon the moral question. Firstly, when it comes to covering of the female body, the wearing of men’s trousers by women cannot be said to constitute as such a grave offense against modesty, because trousers certainly cover more of woman’s body than do modern women’s skirts. Secondly, however, clothes to be modest need not only to cover the body but also not to cling too closely to the body. Now it is true that much feminine clothing today clings closer than do some trousers, but trousers can be made to cling closer, in fact generally they do, so the tight fit of such clothing gives us not less grounds for concern than does exposure of the body. So the immodesty of men’s trousers on women is an aspect of the problem which is not to be left out of an over-all judgment upon them, even if it is not to be artificially exaggerated either. However, it is a different aspect of women’s wearing of men’s trousers which seems to us the gravest. A. Male dress changes the psychology of woman. In truth, the motive impelling women to wear men’s dress is always that of imitating, nay, of competing with, the man who is considered stronger, less tied down, more independent. This motivation shows clearly that male dress is the visible aid to bringing about a mental attitude of being “like a man.” Secondly, ever since men have been men, the clothing a person wears, demands, imposes and modifies that person’s gestures, attitudes and behavior, such that from merely being worn outside, clothing comes to impose a particular frame of mind inside. Then let us add that woman wearing man’s dress always more or less indicates her reacting to her femininity as though it is inferiority when in fact it is only diversity. The perversion of her psychology is clear to be seen. These reasons, summing up many more, are enough to warn us how wrongly women are made to think by the wearing of men’s dress. B. Male dress tends to vitiate relationships between women and men. In truth when relationships between the two sexes unfold with the coming of age, an instinct of mutual attraction is predominant. The essential basis of this attraction is a diversity between the two sexes which is made possible only by their complementing or completing one another. If then this “diversity” becomes less obvious because one of its major external signs is eliminated and because the normal psychological structure is weakened, what results is the alteration of a fundamental factor in the relationship. The problem goes further still. Mutual attraction between the sexes is preceded both naturally, and in order of time, by that sense of shame which holds the rising instincts in check, imposes respect upon them, and tends to lift to a higher level of mutual esteem and healthy fear everything that those instincts would push onwards to uncontrolled acts. To change that clothing which by its diversity reveals and upholds nature’s limits and defense-works, is to flatten out the distinctions and to help pull down the vital defense-works of the sense of shame. It is at least to hinder that sense. And when the sense of shame is hindered from putting on the brakes, then relationships between man and women sink degradingly down to pure sensuality, devoid of all mutual respect or esteem. C. Male dress harms the dignity of the mother in her children’s eyes. All children have an instinct for the sense of dignity and decorum of their mother. Analysis of the first inner crisis of children when they awaken to life around them even before they enter upon adolescence, shows how much the sense of their mother counts. Children are as sensitive as can be on this point. Adults have usually left all that behind them and think no more on it. But we would do well to recall to mind the severe demands that children instinctively make of their own mother, and the deep and even terrible reactions roused in them by observation of their mother’s misbehavior. Many lines of later life are here traced out — and not for good — in these early inner dramas of infancy and childhood. The child may not know the definition of exposure, frivolity or infidelity, but he possesses an instinctive sixth sense to recognize them when they occur, to suffer from them, and be bitterly wounded by them in his soul. Let us think seriously on the import of everything said so far, even if woman’s appearing in man’s dress does not immediately give rise to all the upset caused by grave immodesty. Is any satisfying reciprocity between husband and wife imaginable, if feminine psychology be changed? Or is any true education of children imaginable, which is so delicate in its procedure, so woven of imponderable factors in which the mother’s intuition and instinct play the decisive part in those tender years? What will these women be able to give their children when they will so long have worn trousers that their self-esteem goes more by their competing with the men than by their functioning as women? Why, we ask, ever since men have been men, or rather since they became civilized — why have men in all times and places been irresistibly borne to make a differentiated division between the functions of the two sexes? Do we not have here strict testimony to the recognition by all mankind of a truth and a law above man? To sum up, wherever women wear men’s dress, it is to be considered a factor in the long run tearing apart human order. We address a grave warning to parish priests, to all priests in general and to confessors in particular, to members of every kind of association, to all religious, to all nuns, especially to teaching Sisters. Men may come and men may go, because God has left plenty of room for the to and fro of their free-will; but the substantial lines of nature and the not less substantial lines of Eternal Law have never changed, are not changing and never will change. There are bounds beyond which one may stray as far as one sees fit, but to do so ends in death; there are limits which empty philosophical fantasizing may have one mock or not take seriously, but they put together an alliance of hard facts and nature to chastise anybody who steps over them. And history has sufficiently taught, with frightening proof from the life and death of nations, that the reply to all violators of the outline of “humanity” is always, sooner or later, catastrophe. The consequences of such violations are not a new outline of man, but disorders, hurtful instability of all kinds, the frightening dryness of human souls, the shattering increase in the number of human castaways, driven long since out of people’s sight and mind to live out their decline in boredom, sadness and rejection. Aligned on the wrecking of the eternal norms are to be found the broken families, lives cut short before their time, hearths and homes gone cold, old people cast to one side, youngsters willfully degenerate and — at the end of the line — souls in despair and taking their own lives. All of which human wreckage gives witness to the fact that the “line of God” does not give way, nor does it admit of any adaption to the delirious dreams of the so-called philosophers! We have said that those to whom the present Notification is addressed are invited to take serious alarm at the problem in hand. Accordingly they know what they have to say, starting with little girls on their mother’s knee. They know that without exaggerating or turning into fanatics, they will need to strictly limit how far they tolerate women dressing like men, as a general rule. They know they must never be so weak as to let anyone believe that they turn a blind eye to a custom which is slipping downhill and undermining the moral standing of all institutions. They, the priests, know that the line they have to take in the confessional, while not holding women dressing like men to be automatically a grave fault, must be sharp and decisive. Everybody will kindly give thought to the need for a united line of action, reinforced on every side by the cooperation of all men of good will and all enlightened minds, so as to create a true dam to hold back the flood. Those of you responsible for souls in whatever capacity understand how useful it is to have for allies in this defensive campaign men of the arts, the media and the crafts. The position taken by fashion design houses, their brilliant designers and the clothing industry, is of crucial importance in this whole question. Artistic sense, refinement and good taste meeting together can find suitable but dignified solution as to the dress for women to wear when they must use a motorcycle or engage in this or that exercise or work. What matters is to preserve modesty together with the eternal sense of femininity, that femininity which more than anything else all children will continue to associate with the face of their mother. We do not deny that modern life sets problems and makes requirements unknown to our grandparents. But we state that there are values more needing to be protected than fleeting experiences, and that for anybody of intelligence there are always good sense and good taste enough to find acceptable and dignified solutions to problems as they come up. Out of charity we are fighting against the flattening out of mankind, against the attack upon those differences on which rests the complementarity of man and woman. When we see a woman in trousers, we should think not so much of her as of all mankind, of what it will be when women will have masculinized themselves for good. Nobody stands to gain by helping to bring about a future age of vagueness, ambiguity, imperfection and, in a word, monstrosities. From a Torah obedient perspective it is clear that believers in Messiah Yeshua shouldn’t be involved in modern cross-dressing or in any attempts to blur moral standards or the natural distinctions of creation. These standards and distinctions should instead be cherised and accentuated by cultural norms. Many of these norms are given and upheld by divine revelation. The Torah explicitly warns us against cross-dressing, which is considered an abomination in Dt. 22:5. The Body of Messiah has the clear and unambiguos obligation to uphold a biblical and traditional culture in matters of sexual morality. ‘Natural law’ can be defined as the collection of moral principles and norms detectible by natural reason unaided by divine revelation. The Apostle Paul refers to the natural law in Rom. 1:18-32. In de Gemeente van de Messias bestaan in het algemeen drie opvattingen over de noodzaak en wenselijkheid van Torah observantie door niet-Joden. De eerste opvatting is die van de zogenaamde ‘One Law’ richting, de benaming die in de Angelsaksische wereld waar de discussie aangaande dit vraagstuk het hevigst woedt, wordt gegeven aan hen die de opvatting zijn toegedaan dat er één Torah, één Wet is voor de geboren Israeliet en voor de vreemdeling, voor de Jood en voor de niet-Jood. Dit is de opvatting dat binnen de Gemeente van de Messias het onderscheid tussen Jood en niet-Jood vervalt dan wel irrelevant wordt. De Torah is voor allen. De tweede opvatting is dat het onderscheid tussen Jood en niet-Jood gehandhaafd wordt en dat de Gemeente van de Messias uit twee duidelijk onderscheiden en soms ook gescheiden groepen bestaat. Aan de Joden is de Torah in volheid als verplichting gegeven, aan de niet-Joden alleen sommige gedeelten, met name de algemene morele geboden en enkel rituele observanties zoals het verbod om bloed te eten. Dit wordt genoemd de positie van ‘Bilateral Ecclesiology’ richting. Deze staat, zoals de naam zegt, een bilaterale of tweezijdige ecclesiologie voor, waarbij de twee groepen, Joden en niet-Joden, onderscheiden blijven qua levenswijze maar geünieerd worden door hun gemeenschappelijk geloof in Jesjoea. De uitwerking van deze bilaterale richting kan verschillende vormen aannemen. Er is een stroming die zegt dat de Torah geboden die boven de algemene morele maatstaven uitgaan weliswaar niet verplichtend zijn voor niet-Joden, maar dat niet-Joden, krachtens hun inclusie in het Verbond door de Messias, zoveel van de Torah op zich mogen nemen als zij zelf opportuun, wenselijk, of mogelijk achten. Dit is het model van de ‘Divine Invitation Theology’, dat met name door de First Fruits of Zion groep gepropageerd wordt. Anderen wijzen dit af en geven de niet-Joden wat het praktische leven betreft de status van Noachieden, hoewel erkend wordt dat zij door het geloof zonen van Abraham zijn. De derde opvatting stelt dat niemand de Torah geboden moet doen en dat allen zich alleen hebben te richten naar de algemene morele principes van de Torah en het onderwijs van de Messias en zijn Apostelen. Voor het overige, met name allerlei questies betreffende liturgie en ritueel, heeft men zich te richten naar de praktijken en gewoonten die de Kerk heeft ingesteld. Dit is de traditionele positie van het historische Christendom. Elk van deze opvattingen heeft haar eigen bijzondere moeilijkheden. Een specifieke moeilijkheid van de traditionele christelijke positie, om daarmee te beginnen, is dat praktisch alle rituele praktijken en andere tradities afkomstig zijn uit niet-bijbelse bronnen. Dit zijn bijvoorbeeld de zondag, sommige feestdagen zoals Kerstmis, benevens allerlei observanties zoals vleesloze vrijdagen, quatertemperdagen, vigilies, &c. Deze zijn afkomstig uit Romeinse, Germaanse of nog andere culturen en zijn vervolgens gekerstend, dat wil zeggen zo goed mogelijk aangepast aan bijbelse noties en principes. In essentie blijft deze positie echter syncretistisch, ongeacht de soms bewondering afdwingende en hier en daar geniale wijze waarop buitenbijbelse praktijken en rituelen zijn omgevormd tot zogenaamde christelijke cultuurvormen. Op een meer pregnante wijze kan men de moeilijkheid van deze positie ook als volgt verwoorden: Waarom zouden buitenbijbelse praktijken, rituelen en liturgische vormen beter aansluiten bij de openbaringswaarheid van het Nieuwe Testament dan de eigen bijbelse en joodse, in de context waarvan het Nieuwe Testament zelf is ontstaan? Waarom zou bijvoorbeeld de zondag een instelling zijn die beter aansluit bij het geloof in Jesjoea dan de bijbelse Sjabbat? En sinds wanneer wordt religieus syncretisme in de Bijbel aangemoedigd of goedgekeurd? Een pregnantere moeilijkheid van de traditioneel christelijke positie is dat Joden die in Jesjoea geloven de Torah zouden moeten opgeven en dus in praktische zin afstand zouden moeten doen van hun Jood-zijn. Dit wordt echter in het Nieuwe Testament nergens geleerd en zelfs duidelijk tegengesproken, zowel door Jesjoea zelf (in Mt. 5:17-19) als door Paulus, althans volgens Lucas (in Hand. hst. XXI, en 25:7-8; 28:17-18). De bilaterale opvatting vindt haar bijzondere moeilijkheid daarin dat de éénheid van de Gemeente verloren lijkt te gaan. Theoretisch en in de orde van de geloofsleer moge deze eenheid gehandhaafd blijven, in praktisch opzicht echter valt de Gemeente uiteen in twee delen die wel beschouwd niet veel met elkaar te maken hebben. Hierbij maakt het niet zoveel uit of men een Noachidische dan wel een Divine Invitation theologie voorstaat. De eventuele observantie van niet-Joden blijft immers toch een gratuïte bezigheid waar men in gemeentelijk verband niet op kan bouwen of rekening mee hoeft te houden. Deze opvatting tendeert er daarenboven ook naar zichzelf op te heffen, hetzij door de niet-Joden in de richting te duwen van het traditionele Christendom, hetzij door zich praktisch in de nabijheid te bewegen van de ‘One Law’ opvatting. De bilaterale opvatting is met name verre van bevredigend omdat zij de gelovigen uit de volken de mogelijkheid ontneemt het geloofsleven op een bijbelse wijze gestalte te geven. Wanneer immers de Sjabbat en de feestdagen en de overige rituele instellingen van de Torah niet voor deze gelovigen zijn bedoeld, dan heeft dit een dergelijke verschraling en verarming van hun godsdienstige cultuur tot gevolg dat men nauwelijks nog van een godsdienst in de volledige zin van het woord mag spreken. Alleen de Joden binnen de Gemeente hebben dan alle middelen om hun geloof in uitwendige vormen en observanties gestalte te geven. Een dergelijke ongelijkwaardigheid van deze twee groepen gelovigen lijkt echter wel nauwelijks de openbaring te kunnen zijn van de eenheid van het Lichaam van de Messias zoals deze door de Apostel Paulus is bekend gemaakt. Voor Paulus is de Gemeente een fysieke eenheid, een corps of corpus zogezegd, niet een louter geestelijke geloofseenheid. Deze eenheid vraagt om een eenheid van ook het praktische leven en de godsdienstige observantie. De eigen moeilijkheid van de ‘One Law’ theologie is dat de consequente uitwerking ervan noodzakelijk tot gevolg heeft dat de gelovigen uit de heidenen onder het Torah gebod van de besnijdenis komen te vallen en dat dit niet of nauwelijks te verenigbaar lijkt met de besluiten van het Apostelconcilie in Hand. hst. XV, en uitspraken van de Apostel Paulus. Zowel het Apostelconcilie als Paulus lijken immers de niet-Joden te ontslaan van de verplichting tot de besnijdenis. Sommige uitspraken van Paulus doen zelfs het vermoeden rijzen van een verbod op de besnijdenis van de niet-joodse gelovigen. Om zich uit deze moeilijkheid te redden wijzen aanhangers van de ‘One Law’ theologie er op dat dat men deze afwijzing van de besnijdenis dient te interpreteren als een afwijzing van de bekeringsprocedure (de gioer) tot het Jodendom zoals deze door de Farizeeën was ontwikkeld en waarvan de besnijdenis de kern uitmaakte. Met de term ‘besnijdenis’ zou dus deze bekeringsprocedure worden bedoeld. De Apostelen wezen deze af omdat zij de leerlingen niet het juk wilden opleggen van een overgang tot het Farizeïsche Jodendom als voorwaarde voor hun opname in de Gemeente van de Jesjoea. Zulk een voorwaarde zou onaanvaardbare hindernissen opwerpen voor vele heidenen om het evangelie aan te nemen. Men zou dus onderscheid moeten maken tussen de besnijdenis als bijbels gebod en de besnijdenis in het kader van een Farizeïsche gioer. De verwerping van de proselieten besnijdenis zou niet een verwerping inhouden op de besnijdenis als Torah-gebod. Het bijbelse besnijdenisgebod kan dus, zo zegt men, ten volle gehandhaafd worden. De moeilijkheid met deze oplossing is echter dat men in het Nieuwe Testament nergens een tekstplaats kan vinden waar het onderscheid tussen deze twee typen besnijdenis duidelijk geleerd wordt. De aanname van twee typen besnijdenis lijkt ook op gespannen voet te staan met de geloofwaardigheid en duidelijkheid van het evangelie voor de niet-Joden. Want is het werkelijk aannemelijk dat Paulus enerzijds uitvoerig de proselieten besnijdenis afwees maar anderzijds en tegelijkertijd de bijbelse besnijdenis onderwees en toepaste op de gelovigen uit de heidenen? Zou een dergelijke gecompliceerde positie niet tot grote verwarring hebben geleid? Het feit dat we in het NT geen indicaties vinden van welk type besnijdenis dan ook zodra het om niet-Joden gaat — uitgezonderd natuurlijk de geestelijke besnijdenis ofwel de besnijdenis van het hart — pleit dus niet voor deze oplossing. Hieruit volgt echter niet, zoals men wellicht zou denken, dat daarmee de ‘One Law’ theologie gedisqualificeerd zou zijn. De kern van de zaak is namelijk dat elk van de drie besproken opvattingen met grote en weerbarstige moeilijkheden te maken heeft. De typische moeilijkheid van de ‘One Law’ theologie wijst dus op zichzelf helemaal niet in de richting van (één van) de overige opvattingen. De moeilijkheden van een ‘Bilateral Ecclesiology’ of van de traditionele christelijke opvatting zijn immers niet minder groot, misschien zelfs groter. De oplossing van het vraagstuk van de positie van de niet-Joden is daarmee één van de kern-opgaven voor een consistente interpretatie van het NT. Naar mijn vermoeden is een vruchtbare aanpak van dit vraagstuk alleen mogelijk als men de bijzonderheden van het tijdvak van de Handelingen der Apostelen erbij betrekt. Dit tijdvak wordt gekenmerkt door het hernieuwde aanbod van Israel’s nationale herstel en van de zgn. ‘Naherwartung‘, d.i. de verwachting van de Wederkomst binnen één of enkele generaties. Deze kenmerken maken het waarschijnlijk dat gedurende dit bijzondere tijdvak, waarin de voorrang van de Jood boven de niet-Jood in Paulus’ brieven beklemtoond wordt, een bepaalde scheiding tussen Joden en niet-Joden ook binnen de Gemeente in stand moest worden gehouden, in afwachting van Israel’s bekering en nationale herstel. Eerst dit nationale herstel zou dan uitlopen op een alomvattende missie tot de heidenen. Nadat echter duidelijk geworden was dat Israel de Messias niet zou aannemen gedurende de tijd van de Apostelen, en dat het nationale herstel dus voor onbepaalde tijd uigesteld moest worden, had de scheiding tussen Joden en niet-Joden in de Gemeente haar functie verloren. We zien dan ook dat de Apostel Paulus eerst na de Handelingentijd, in zijn gevangenschapsbrieven (met name in de brief aan Efeze), de volkomen gelijkwaardigheid van Jood en niet-Jood leert in het éne Lichaam van de Messias. Indien deze overwegingen juist zijn mag men misschien de voorzichtige conclusie trekken dat de besnijdenis van niet-Joden nu geen probleem meer is. Deze besnijdenis wordt immers door het georganiseerde Jodendom niet erkend. Zij is louter een interne aangelegenheid van de Gemeente van Jesjoea. De scheidingslijn loopt nu niet langer tussen Joden en niet-Joden in deze Gemeente, maar tussen de Gemeente van Jesjoea als geheel en het officiële Jodendom. Het onderscheid van Jood en niet-Jood zou in dit perspectief eerst weer relevant worden bij de oprichting van het Koninkrijk, ofwel bij Israel’s eindtijdelijke nationale herstel. Voor de volledigheid dient hierbij echter aangetekend te worden dat ook deze laatste overwegingen, waardoor de ‘One Law’ opvatting een grotere waarschijnlijkheid krijgt, voor een gedeelte gebaseerd blijven op speculatieve en buitenbijbelse aannamen. Alles overziende moet de conclusie helaas luiden dat geen enkele van de drie behandelde posities zonder problemen is of op bijbelse gronden bewijsbaar mag worden geacht. A basic problem in the domain of biblical studies is the question of (how to establish) the Canon of Scripture. This problem is particularly important for Messianics when it comes to the Canon of the Apostolic Writings (commonly, but erroneously, called the New Testament). This importance is related to the fact that Messianics reject many of the traditional teachings of the Christian Church and yet accept the Canon of the New Testament as it is recognized by the tradition of this Church. The historical time-frame of the recognition of the New Testament Canon roughly coincides with the historical time-frame of the development of Replacement Theology and the great christological conflicts. However, there is evidence for the proposition that the history of the formation of the Canon is more complicated than often admitted, and that it extended to the times of the Protestant Reformation and the Council of Trent. One of the factors that led to its ultimate fixation were Luther’s and Erasmus’ reopening of the debate. This evoked a Catholic reaction at the Council of Trent. The position of this Council seems to have been helpful in ending the debate, even among the followers of the Reformers. 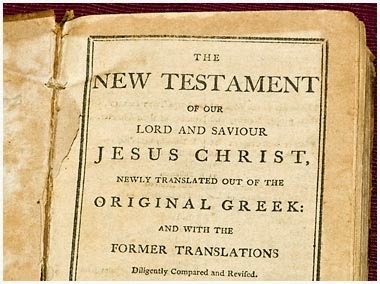 Regardless the exact reconstruction of this history, it is problematic to simply accept the NT Canon without granting any authority to the tradition of the Church, since it is clearly impossible for anyone of us today to determine which collection of books or letters of the times of the Apostles we should recognize as being part of Holy Scripture — had this collection not been handed down to us through the generations by the authority, the constant teaching, and the liturgical tradition of the Church. This problem can be stated as follows: If the position of the Church on the relevance of the Torah and the nature of G’d led the believers completely astray by the developments that culminated in the doctrines of the Deity of Yeshua and the Trinity, how can we be sure that the Church did not lead us astray by adopting and using in her liturgy the collection of Scriptures that we call the New Testament? From the Catholic point of view it is considered a basic theological error to isolate the genesis and reception of the NT Canon from the developing early Christian tradition. According to this viewpoint it is a fundamental metho-dological problem of all non-Catholic NT studies that they first isolate the NT from its functional context in Christian tradition and the living community of the Church, and subsequently find things in it which conflict with this tradition and the authority of the Church. The Catholic response to these findings is to ascribe these conflicts with Church teaching to this initial error of isolating the Scriptures from the tradition and authority of the Church. 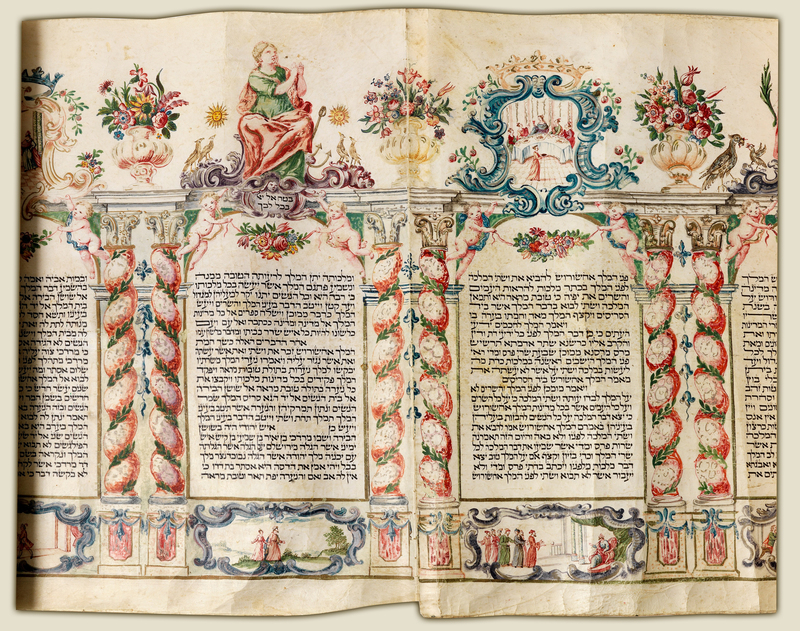 If divine revelation is only partly contained in Scripture and if Scripture is an organic part of the developing Jewish nation and the later Christian Church, how can one separate Scripture from the tradition and teaching of the Church and subject the Holy Books to the insights of individual scholars, while ignoring the primal fact that these scholars themselves have received the Scriptures from the Church? Defenders of Catholicism always stress that the sola Scriptura teaching of the Protestant Reformers is not found in the Bible itself. The Messianic position seems even more difficult to defend than the position of the Reformers. For the Reformers accepted the decisions of the Ecumenical Councils until about the fifth century, when the question of the Canon of the NT was practically settled or at least no longer debated. The Messianic position, however, is that the Church during the first centuries of her existence got throughly corrupted in such basic teachings as the nature of G’d and the relevance of the Torah, while at the same time developing a correct intuition in solving the problem of the NT Canon. The question is thus: How it can be made reasonably credible that the Church stumbled into error after error in her teachings about the ontological status of Yeshua, the nature of G’d, and the normative status of the Torah, and yet preserved a right intuition on the issue which books of the Apostolic times should be recognized as inspired and canonical in addition to the Hebrew Bible? Regrettably, many Messianics accept the Church doctrines of the Deity of Yeshua and the Trinity. But the basic problem pointed out here remains the same for them, since they don’t accept Replacement Theology. Know ye not that unrighteous shall not inherit the Kingdom of G’d? Be not deceived: neither fornicators, nor idolaters, nor adulterers, nor effeminate, nor abusers of themselves with mankind, nor thieves, nor covetous, nor drunkards, nor revilers, nor extortioners, shall inherit the Kingdom of G’d. Holy Communion was considered to be only for those in the ‘state of grace’ according to Catholic theological terminology — or, in evangelical terminology, in the ‘state of being saved’. To be in the state of grace requires that one has confessed and sincerely repented the mortal sins one has committed, and has acted upon this repentance by leaving all situations of continuously ‘living in sin’. This sacramental discipline was based on the notion that, ultimately, the Church is only composed of those are saved, i.e. the truly faithful. Only the saved, ultimately, are part of the mystical Body of Christ. This community of the saved is liturgically expressed in Holy Communion, because in receiving the Eucharist the Body of Christ is actualized in this temporal life and in and through it the faithful are bodily and spiritually united with the Lord Jesus Christ. After the Second Vatican Council there has been a growing minority in the Church of liberals and modernists abandoning this traditional moral position. For some decades, this minority has grown vocal and demanding, and important Church leaders, including Cardinals have joined it. And in our days of the pontificate of Francis even the Pope seeks to support it. Sacramental discipline, which was already considerably weakened after Vatican II, is now in danger of being completely thrown out of the window. Under the guise of proclaiming “mercy” and “compassion” — reiterating the general Christian invitation that the Lord is welcoming everyone — Pope Francis’ pontificate has become a concerted effort of theological liberals to change the moral basics of Catholicism and to bring it in line with the demands of the modern world. For this is really what theological liberalism or modernism is all about: adapting the Church to the modern secular sensibilities of liberty and equality. What is happening in Catholicism since Vatican II, and now seems to culminate in the effort to abandon traditional sexual ethics, is nothing less than the introduction of the principles of the French Revolution in the Church. As Torah minded believers we should be attentive of this phenomenon as a new manifestation of the spirit of lawlessness (i.e. Torahlessness), as a radicalization of Replacement Theology. The Replacement Theology that was introduced in the early days of the Church can be viewed as an effort to synthesize the biblical and Jewish heritage of the Church with the surrounding culture of Greco-Roman Antiquity. Such a synthesis was only possible by giving up the culture and rites of the Torah. The Catholic Church was the result of this synthesis. For this reason Catholicism can be viewed as a secularization of the Jewish religion. In order to have universal impact, and to be acceptable to all people, it was deemed necessary for the message of the Gospel to shake off its Jewish particularisms. Thus the Church supposedly would be enabled to gain cultural influence and to effectively evangelize the masses of the Roman Empire without the obstacles of Jewish cultural forms. What is happening nowadays is a radicalization of this Replacement Theology by an effort to synthesize the historical Catholic heritage of the Church with the surrounding culture of Naturalism and Secular Humanism. Such a synthesis is only possible by giving up traditional Christian sexual morality. What will be the result of this proposed new synthesis? In any case not Catholicism or Christianity as we know it. If the agenda of the modernists is accepted by the Church, the result will be a rupture in the continuity of Church’s teaching and practice as big as when the Church rejected Torah observance and introduced Replacement Theology. By adopting the umbrella of Secular Humanism and an attitude of inclusiveness the Church will become more thoroughly de-judaized then ever before. Not only Jewish rites and ritual laws but also Jewish ethics will be declared obsolete. This amounts to a nearly complete rejection of the Hebrew Bible, the so-called ‘Old Testament’. But this also implies the rejection of many and fundamental parts of New Testament teaching. This modernist revolution is so fundamental that it could never succeed under the existing premises of Catholic doctrine. That’s why it is introduced by the Pope and his circle of liberal theologians as just a matter of pastoral care and compassion. It is presented to the faithful as if the practice of the Church could change without changing the doctrine. Once the practice is changed, however, in the name of mercy, traditional moral doctrine, while being preserved in name, will become completely obsolete and fossilized. It will be clear to Messianics and to traditional Christians that what is happening here is nothing less than open apostasy from the faith. The pastoral terminology is just a smokescreen. What is called ‘mercy’ by Pope Francis and other Catholic modernists is just what traditional theology rejects as ‘cheap grace’. It is a ‘mercy’ that doesn’t require repentance in the sense of turning away from the state of sin. It is a lawless mercy which permits the sinner to continue in sin and yet be in ‘full communion’ with the Church and presumably with Christ. The principle of lawlessness, that was introduced in the early history of the Church, nowadays seems to be on its way to a complete victory. If this analysis is correct, then we are witnessing an important preparatory phase for the coming of him who is called by St. Paul the “man of sin” and the “lawless (Torahless) one” (II Thess. 2:3, 8), the Anti-Christ or Anti-Messiah. Let no man deceive you by any means: for that day [i.e. the day of the Second Coming of Christ] shall not come, except there come a falling away first, and that man of sin be revealed, the son of perdition […]. Why are these developments within the Roman Catholic Church important for us as Torah observant Messianics who deny many Catholic doctrines and precriptions? Because the Catholic Church is the historical heart and centre of Western culture, its unifying factor and its traditional moral compass. The apostasy and possible collapse of this Church is an alarming sign of the moral collapse and desintegration of our entire culture. While it is true that the Catholic Church has been an important factor in the persecution of the Jews and a fierce opponent of Torah observance by Christians, this doesn’t mean that we should simply rejoice in her downfall. For we can be sure that when the Church is removed from the scene, or should choose to side with the forces of secularism, we’ll have to face a future of persecution. The Church will not be replaced by a more friendly power but to all probabilty by the naked aggression of an openly Anti-Christian Secularism. The Catholic Church has known many Popes and other high prelates who were examples of wicknedness and lawlessness instead of examples of Christ and shepherds of his flock. But whatever these persons said and did, they never questioned or attacked the dogmatic and moral fundamentals of the Church. After Vatican II all this has changed. The present crisis is mainly a consequence of the tidal waves of modernist theology that entered the Church during and after this Council. Pope Paul VI complained that the smoke of Satan had entered the Church. John Paul II tried to consolidate the situation and to limit the damage. This line of consolidation was continued under Benedict XVI. Under Francis, however, we face again the full seducing force of modernism at work. 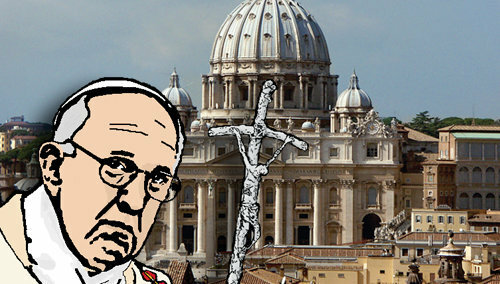 His pontificate might well initiate the final apostasy of the Christian Church. Every great religion is much focused on the distinction between the sacred and the secular. It is the basic religious distinction. This distinction is particularly relevant in public worship, by which it is made visible and tangible. There are sacred times and secular times, sacred places and buildings, and secular ones. But modern Christianity has very much destroyed the sense of the sacred because of its anti-ritual bias and its liturgical amateurism. Protestantism in particular has almost lost all real liturgical spirit, or fallen into the modernist error of confusing liturgy with art and performance. Even Catholicism, in its post Vatican II fashion, has fallen prey to this. The modern Mass betrays a mindset which is more concentrated on the community than G’d. Liturgy, however, is theocentric. It is about such things as “facing east” when praying, about following the rubrics, not the personal whims of the minister or the momentary wishes of the congregation. 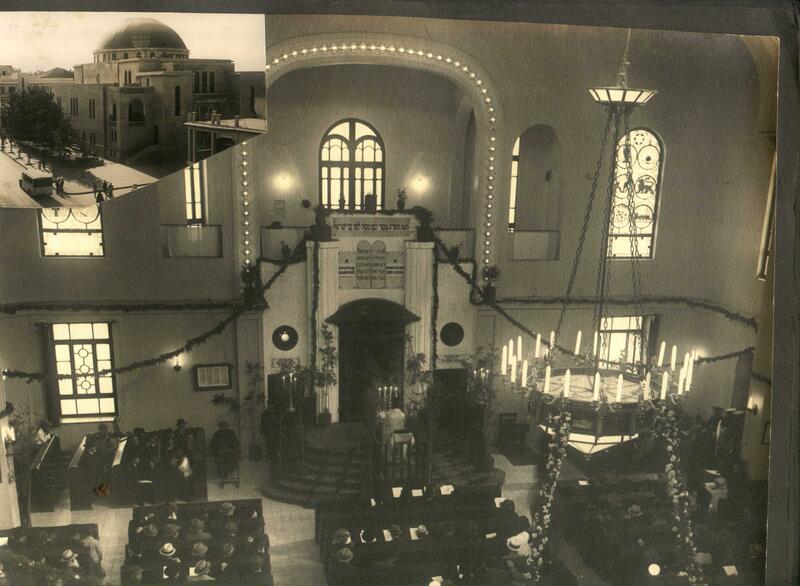 Only traditionalist Catholics and traditional Jews have real liturgies today. Liturgy is about a consistent line of behaviour in all things which happen in the church or synagogue, for instance about not deviating from the calendrical structure and giving the proper weight and emphasis to each particular occasion. First and foremost it is about a theocentric spirit, which is to be cultivated by such things as the minister facing the Altar or the Holy Ark instead of the congregation, by acts of bowing and kneeling and really making the building a sanctuary. The modern cult of spontaneity and informality is deeply at odds with all this. This ‘spontaneity’ is secular and fed by the idea that we should follow our passions and emotions. This leads to arbitrary acts and an embarrassing informal way of behaviour which is very much the contrary of the aristocratic spirit which permeates traditional liturgy. The modern standard of informality is infected with the ideology of equality and betrays a lack of respect and revence. Liturgy is not without emotion and passion, but its emotions are evoked and cultivated by reverence for G’d and all things sacred. It is based on making clear distinctions: between the sacred and the secular, and between degrees of sacredness, in a hierarchical order, and on upholding these distinctions in our solemn celebrations. 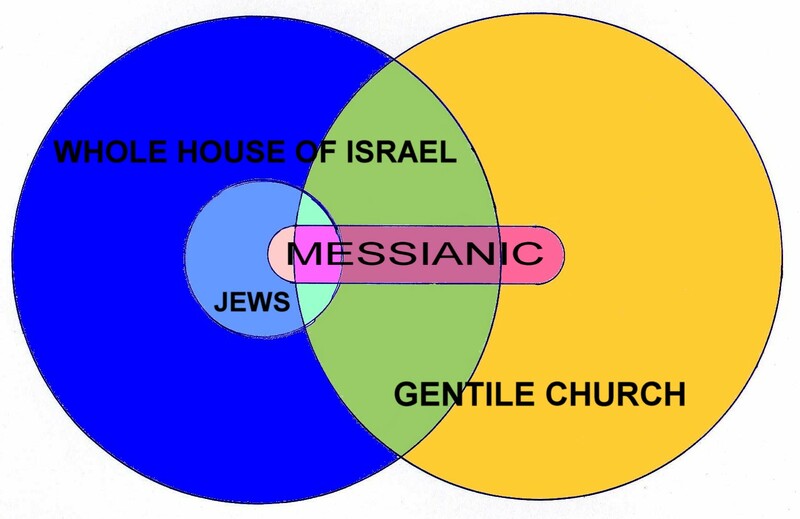 It is essential for Messianics in Torah communities to maintain in their liturgy and worship this sense of hierarchical order, because this is the way we are related to G’d. The basic framework of Scripture is about the hierarchical order between G’d and creation, between the angelic world and the material creation, between the celestial bodies in the firmament and the things here in this earthy world, between men and women, parents and children, between kings, priests, levites and other ministers and lay people, &c, &c. This scriptural framework should be mirrored in the solemnities of messianic liturgies, as indeed it was from times immemorial mirrorred in traditional Jewish and Christian liturgies. Any intelligent person will know what liturgy is about by visiting just once a traditional, tridentine mass or an orthodox synagogue service. To recover [the old idea of solemnity] you must think of a court ball, or a coronation, or a victory march, as these things appear to people who enjoy them; in an age when every one puts on his oldest clothes to be happy in, you must re-awake the simpler state of mind in which people put on gold and scarlet to be happy in. Above all, you must be rid of the hideous idea, fruit of a wide-spread inferiority complex, that pomp, on the proper occasions, has any connexion with vanity or self-conceit. A celebrant approaching the altar, a princess led out by a king to dance a minuet, a general officer on a ceremonial parade, a major-domo preceding the boar’s head at a Christmas feast–all these wear unusual clothes and move with calculated dignity. This does not mean that they are vain, but that they are obedient; they are obeying the hoc age which presides over every solemnity. The modern habit of doing ceremonial things unceremoniously is no proof of humility; rather it proves the offender’s inability to forget himself in the rite, and his readiness to spoil for every one else the proper pleasure of ritual. The sense of the sacred and of reverence for G-d can only be maintained and cultivated in a traditional liturgical culture. Tradition and liturgy elevate us to a higher order, the aristocratic order of the Kingdom of G-d. The liturgy thus explicitly and ceremonially reflects our true created being and eternal destiny. In Genesis chapter IX we see that G-d gives several commandments and instructions to Noach and his descendants. The conspicuous examples are the prohibition of “shedding blood” (murder) and eating “flesh with the life thereof”, (often interpreted as the consumption of blood). It doesn’t need much argument to demonstrate that the approach outlined by Clorfene & Rogalsky is unacceptable for Messianic Jews and their Gentile co-religionists. Messianics cannot uncritically and axiomatically believe in rabbinic authority without damaging their obedience to Yeshua and his Apostles. This is abundantly clear from the fact that Judaism views obervance of the Noachide Laws as the Gentile’s way of earning a place in the World to Come. From a messianic perspective the Naochide Laws are not meant to provide a way for the Gentile nations to enter the World to Come. They are regulations imposed on mankind for upholding a basic framework of justice in this world. They are thus bound to the order of this world and will remain relevant as long as this world will exist. The number of these commandments is never given in Scripture, but the rabbinic arrangement of Seven Laws can be easily be detected by considering the context and practical implications of the explicit instructions given in Gen. 9:1-7. The following is an attempt to deduce the Seven Laws from these scriptural instructions. If the Creator G-d reveals himself and gives laws and instructions, it is obvious that a person should not blaspheme this G-d or turn to other gods, particularly so after the terrible judgment of the flood. So the prohibitions of blasphemy and idolatry are reasonably included in the concept of the one true G-d revealing himself as Creator, Sovereign and Lawgiver. Normal sexual relations are presupposed by the instruction to be fruitful and multiply (Gen. 9:1), which is of course to be interpreted in its historical context of the situation after the flood. We should have in mind here that the corruption of marriage was one of the reasons why the flood came, according to Gen. ch. VI, and thus it should be taken for granted that Noach and his family knew that they had to keep the purity of marriage intact by abstaining from sexual promiscuity. That a system of law enforcement should be set up is implied by the injunction that the blood of man and beast will be required by G-d, through the hand of man (Gen. 9:5-6). This requirement implies setting up a system of human government. The interesing prohibition of eating the limb of a living animal may seem a bit peculiar at first, but it follows from the prohibition of consuming blood in Gen. 9:4 and the later Torah legislation for Israel, which permits the stranger to eat that which has died of itself (Dt. 14:21). That which has died of itself inevitably contains blood. This verse thus implies that the non-Israelite may consume blood — although this concession is perhaps limited to this particular case of eating an animal which has died of itself. Because of this permission it is inferred that the prohibition of Gen. 9:4 cannot be a general prohibition of blood but is literally only about “flesh with the life thereof”, i.e. the limb of a living animal. Finally, the prohibition of theft and robbery is logically contained in Gen 9:2, where the creatures are given into man’s power. This is not a permission for a power struggle of all against all in order to grasp as many possessions as is possible for each individual or family, for this would result in endless bloodshed. It would defy any peaceful system of government to permit man to simply take what is perceived to be already in another man’s possession. So the prohibition of theft is derived from man’s dominion of the lower earthly creatures in combination with the general idea of maintaining a system of law and justice. The Seven Commandments of B’nei Noach are covered by this analysis. They are divided into six prohibitions and one positive commandment. The positive commandment of establishing a government is a kind of meta-commandment intended to make it possible to enforce and maintain the six prohibitions, which are: (1) blasphemy, (2) idolatry, (3) sexual promiscuity, (4) murder, (5) theft and robbery, (6) eating the limb of a living animal. As to religious worship, blood sacrifice is permitted under the Noachide Covenant, but it is not strictly required. It is not possible to deduce its obligation, neither exegetically, nor by implication. While the prohibitions of blasphemy and idolatry are direct implications of the true G-d revealing Himself, a positive commandment of sacrificial worship cannot be derived in this manner. It seems, however, that the majority opinion is that after the introduction of the Torah of Sinai, by which Israel was constituted the priestly nation, the Noachides are no longer permitted to sacrifice. The sacrificial service was now transferred to Israel on behalf of them. For the very reason of Israel’s election is to be a Priestly Kingdom on behalf of all mankind. Ibid, p. 128, n. 6. If this interpretation is correct, the interesting conclusion is that the prohibition against the consumption of blood in Acts ch. XV is not a repetition of a Noachide commandment but the imposition of the later Torah prohibition — and perhaps the requirement of Shechitah — of the Sinai Covenant on Gentile believers.